Who is spending what on California ballot measures? Thus far, the pharmaceutical and tobacco companies are the leading spenders among business sectors. The pharmaceutical industry is trying to fight off restrictions on state spending on drugs, while tobacco companies are trying to defeat a tax hike on cigarettes. Meanwhile, both California hospitals and teachers are backing the proposed extension of a tax hike. Pharmaceutical companies are spending heavily in an attempt to defeat Proposition 61. The initiative would prohibit state agencies from paying more for prescription drugs than the lowest price that the U.S. Department of Veterans Affairs pays. The pharmaceutical industry has contributed more than $50 million this year to the campaign against Proposition 61. Of that total, more than $35 million has been reported since July 1. Tobacco companies have spent nearly $36 million over the last two months in an attempt to defeat Proposition 56. 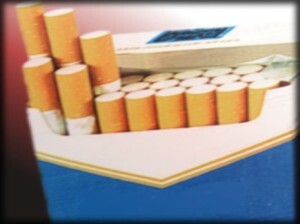 The initiative would raise taxes on cigarettes by $2 a pack. The measure also calls for raising taxes on e-cigarettes and other tobacco products. The tobacco industry spent more than $46 million in defeating a 2012 initiative that would have imposed a $1 a pack added tax on cigarettes. The ballot measure went down by fewer than 43,000 votes. In July, California hospitals and the state’s largest teachers union gave a combined total of $22.5 million to the Proposition 55 campaign. Proposition 55 would extend the current income tax rates set by Gov. Jerry Brown’s Proposition 30. The initiative would add 12 years to the life of the current tax rates on state residents making $250,000 or more, which are scheduled to expire in 2019. Proposition 55 states the revenue received from the tax extension must be used for education and healthcare programs. Tech billionaire Sean Parker, the founder of Napster and former president of Facebook, has spent more than any individual on current ballot measure campaigns. Parker has contributed more than $3.7 million to the Proposition 64 campaign, the effort to legalize recreational use of marijuana. Parker has also donated $400,000 to Lt. Gov. Gavin Newsom’s initiative on combating gun violence through new registration rules for buying ammunition. Coincidentally, very little money is pouring into a campaign calling for California elected officials to work toward overturning Citizens United, the U.S. Supreme Court ruling that relaxed rules on corporate and labor political donations. The initiative, Proposition 59, is only an advisory measure. Backers of Proposition 59 have only raised $10,000. No money has been spent on opposing the initiative. I do not trust the initiative process anymore. I vote no on all of them. Hold on to your wallets! The State Legislature may add more to the present 17 statewide initiatives on the November ballot. Then there are the local initiatives placed on that ballot by school districts, cities and county. Know the 1/2% countywide sales tax is Measure J. J for JUST VOTE NO! Just vote no on all tax increases this time ’round! If the pharmacutical companies are against something, I’m totally for it. Really? so if pharmaceutical companies are against regulation that will make your potential life saving or life benefiting drug more expensive you are totally for it? Why? If they can charge more for a drug, they will regardless of the regulations. Our costs for big pharms’ products are among the highest in the world and we don’t often hear anyone say anything about that. While you’re right Rambunctious, we shouldn’t blame ourselves for that, we should lay the blame right at the feet of big pharm’! Where they run into price control regulations in most other countries we just seem to let them run rough shod over us. Raising the prices of the already out-of-control pricing is big pharms’ trump card; threatening to raise prices to offset any new taxes and or tariffs. You can also blame our government, they caved into big pharm’ when it came to negotiating rights for those prices. As an example Sovaldi, a treatment for Hepatitis C, costs an American about $84 thousand dollars to get treatment while the people in France pay just over half that amount for that same course of treatment. And given the country’s many insurers, employers, and federal and state programs there is no single entity bargaining on our behalf. The biggest U.S. buyer of medication, Medicare, is barred by law from negotiating pricing. In my opinion they should tax tobacco right off the market! Our kids would be better off, our environment would be better off and our health care system would be better off. And the schools want more money from us this year to fix up the schools or some bull crap. $22.5 million would have helped the schools who don’t know how to spend their money wisely. I will vote against the schools getting any more money if they have that much to pay on elections. I don’t have a kid in school who is causing the wear and tear, but I have to pay as much as the parents with kids, NOT FAIR. the gov’t wants my money and so do I. I will vote against everything that is going to take more money away from me. Gov’t has decided that corporations are people, good let those people pay for it all. Vote no on all bonds until they use it correctly. AMEN!!! I have asked people in the past, why vote for the bond (whatever one at that moment) what about the costs? Their response (and true)…………well the Govt. will pay for it. Yea it is usually same type with same feelings on all the social programs. Can’t fix stupid. I spend all of my lunch money on lunch, I have no money for a proposition. It sounds like prostitution anyway so I will just vote NO until I’m interested. A certain breed spends millions of dollars on this so maybe it is kinda like prostitution. “In July, California hospitals and the state’s largest teachers union gave a combined total of $22.5 million to the Proposition 55 campaign. Proposition 55 would extend the current income tax rates set by Gov. Jerry Brown’s Proposition 30.” Of course they would support this Proposition, it benefits their pocket books. The Teacher’s Union should be putting into STRA for the teachers, where the real problem is. I am tired of paying for these fat salaries of government employees and then to layer a ridiculous retirement fund that is going broke and then I should give more disgusting. If ANY GOVERNMENT UNION supports its, won’t get my vote! Tax and regulate yourself, tax tax tax until you tax yourself to death.